The Traditional Transfer Machine stands for our par excellence product, with over 2.000 sets sold and installed. 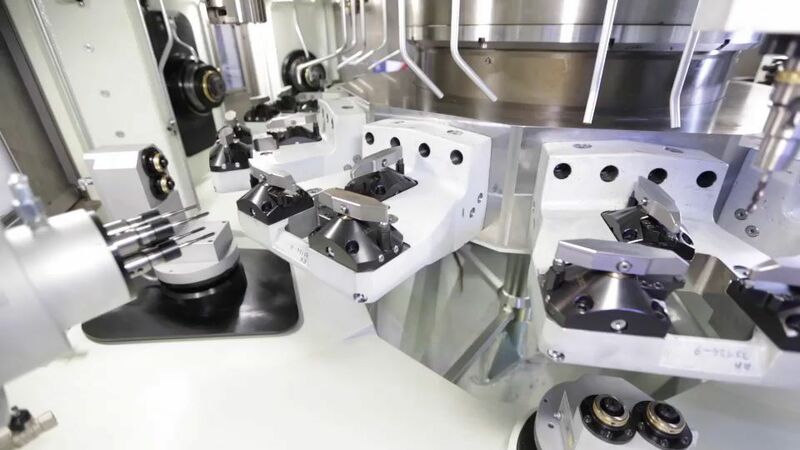 The series caters to users who machine families of parts at high production rates and whose work-pieces don’t exceed an approximately 500 mm cube working area. Traditional Transfer Machines’ most striking features are great production flexibility, reduced cycle times, contained price per piece and high levels of customization. A large array of materials can be machined, from brass to aluminium to different kinds of stainless steel. This series of machines well suits producers of automotive components, industrial and sanitary fittings, valves and general mechanical components.